2014 WSOP Results and highlights from the World Series of Poker Events 1-13, PokerStars Pro Vanessa Selbst wins her 3rd bracelet in 2nd Event of the series. Phil Hellmuth misses his 14th WSOP bracelet in Event 7 and was defeated heads-up with Ted Forrest. Justin Bonomo win his first WSOP bracelet in Event 11. Several poker pros including: Jason Mercier, Daniel Negreanu and Brian Rast are on the final table of Event 13. 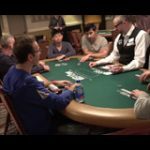 Watch 2014 WSOP Live streaming of the final tables with commentary from David Tuchman, the live stream has a 30 minute delay from the tournament. 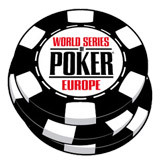 2014 WSOP Main Event $10 Million guaranteed prize for first place. Million dollar buy-in 2014 WSOP Big One for One Drop tournament. 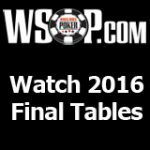 See the 2014 WSOP results below for events 1-13 with winners and highlights from the 45th Annual World Series of Poker at the Rio Hotel and Casino in Las Vegas. 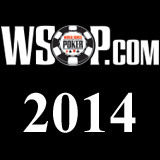 Watch the 2014 WSOP Live stream of final tables here. Ted Forrest defeats Phil Hellmuth heads-up for bracelet. World Series of Poker Millionaire Maker event exceeded it's guarantee amount and generated $1,319,587 for first place prize. 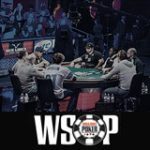 Final table players playing for a 2014 WSOP bracelet: Paul Volpe, Jason Mercier, Daniel Negreanu, Brian Rast, Larry Wright, John Monnette and Abe Mosseri.